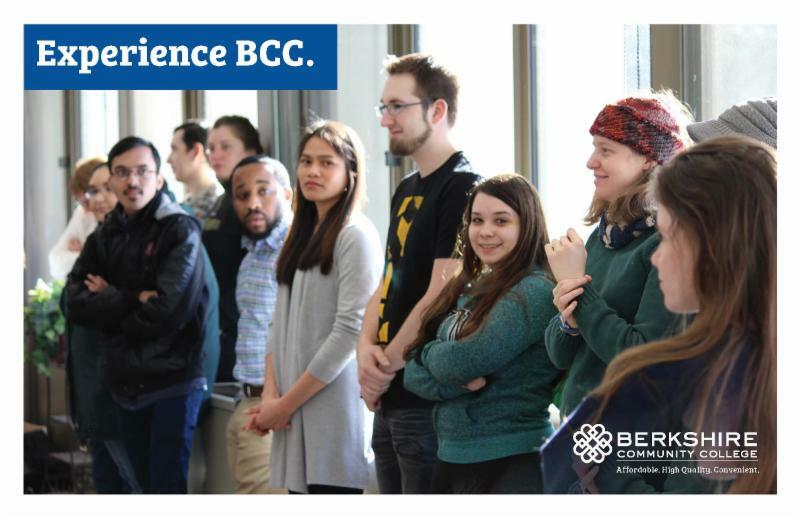 Wednesday, April 17, 8:30 a.m. - 3:00 p.m.
Come see the reimagined BCC - the most affordable option with more than 50 high quality programs for those looking to transfer or advance in their career. Meet faculty, staff and students. Sit in on a class to better understand the college experience. Learn about paying for college and see how much more affordable BCC is. Hear about the more than 50 high quality programs of study. Get the scoop on transferring. Take a tour of the newly reimagined campus. Enjoy a free breakfast and lunch. Please share this invitation with anyone who you think might be looking for the most affordable, high quality and convenient option in higher-education. Hello to all! 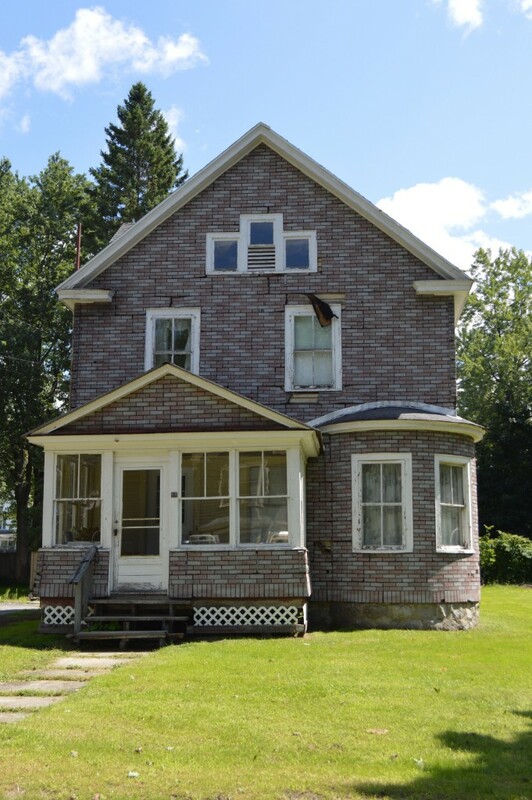 This week we will be on site working on a repair project for a veteran and Courtney's future home! 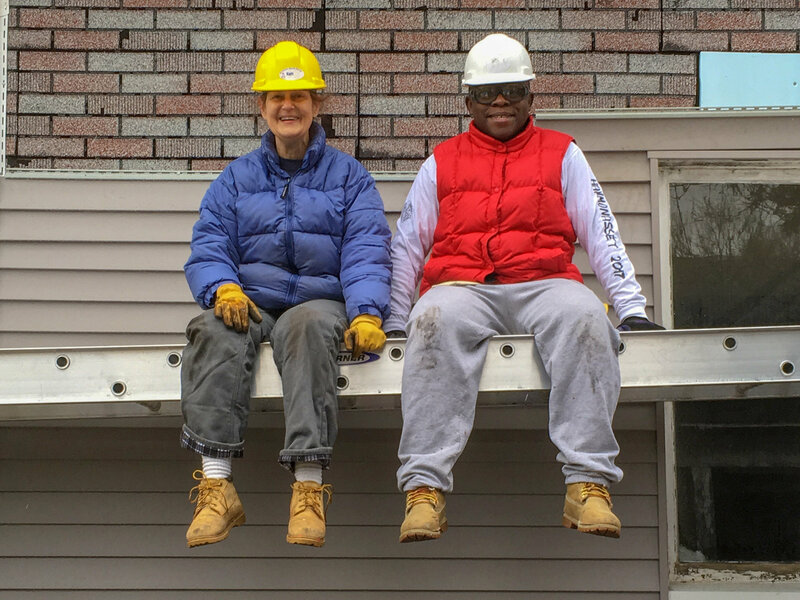 If you are interested in volunteering this week, please contact Beth Frederick at 413-442-3181 or (bfrederick@berkshirehabitat.org). This will help us to accurately plan for the expected number of tasks and leaders necessary for the day. Thank you! Cardillo Plumbing & Heating - located at the end of Britton St. has graciously offered to allow our staff & volunteers to park in their lot - any day of the week. They ask that we do NOT park near the garage door or at the right side of the property near the other business. We ask that nobody park at the Mobile Gas Station or in front of neighbors' homes, as there is an issue with larger vehicles entering and exiting the street on W.Housatonic due to cars being parked at the end of Britton. Thank you for your understanding and service to Habitat, the neighborhood and the community. We finished re-siding the East side of the house and put some finishing touches on the porch steps and railings! 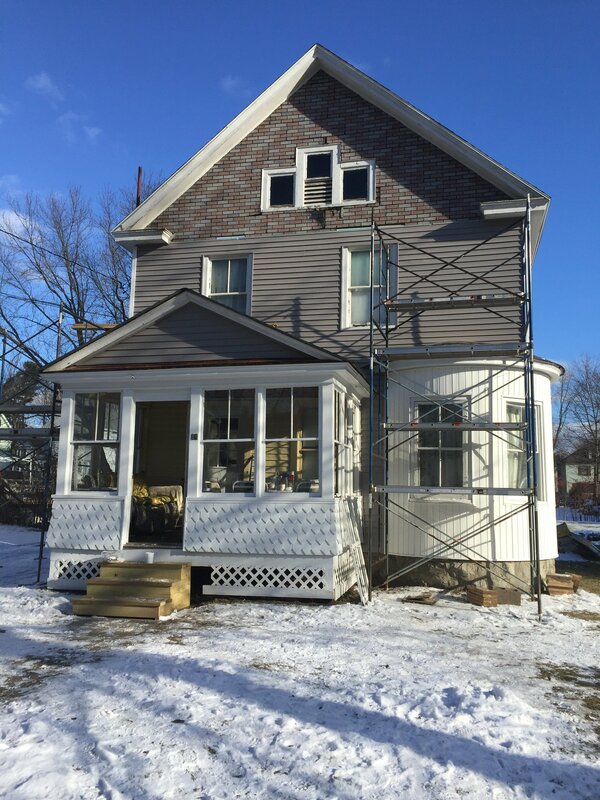 Our critical home repair project will be finished this weekend, and we couldn't have done it without you! A special thanks to all of our Core Volunteers and the groups who came out to work on this project. Starting Saturday, we will resume work at Courtney's future home in Dalton! Please reach out if you would like to volunteer! Hello to all! This week we will be on site working on a critical home repair for a Veteran! 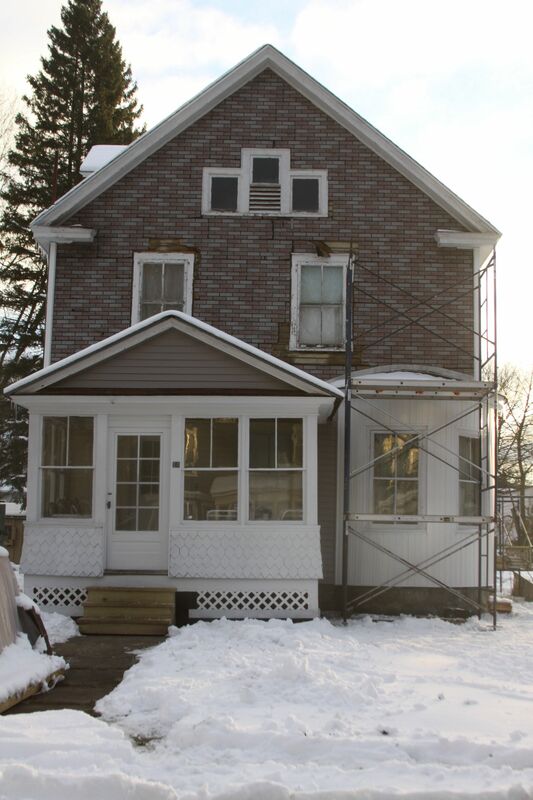 We finished the roof and completed re-siding the North, East, and South sides of the house! 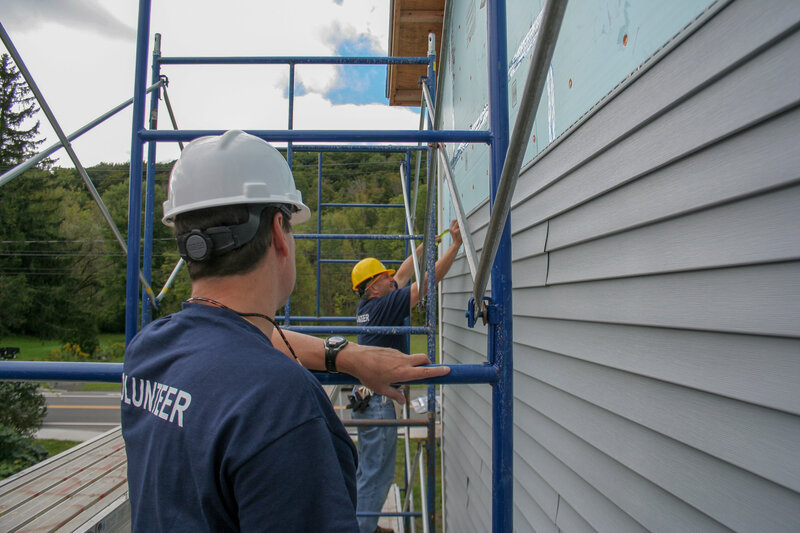 Our critical home repair project will soon be coming to a close, and we couldn't have done it without you! A special thanks to all of our Core Volunteers and the groups who came out to work on this project. 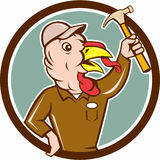 We hope you had a wonderful Thanksgiving weekend! Let's serve this homeowner as he has served our country. and for that we are all thankful. Our build sites are closed for the holiday weekend. Have a wonderful Thanksgiving! If you are interested in volunteering with us in the future, please contact Beth Frederick (bfrederick@berkshirehabitat.org) at (413) 443-2106. Volunteers working on our repair project for a veteran, allowing him to age in place! 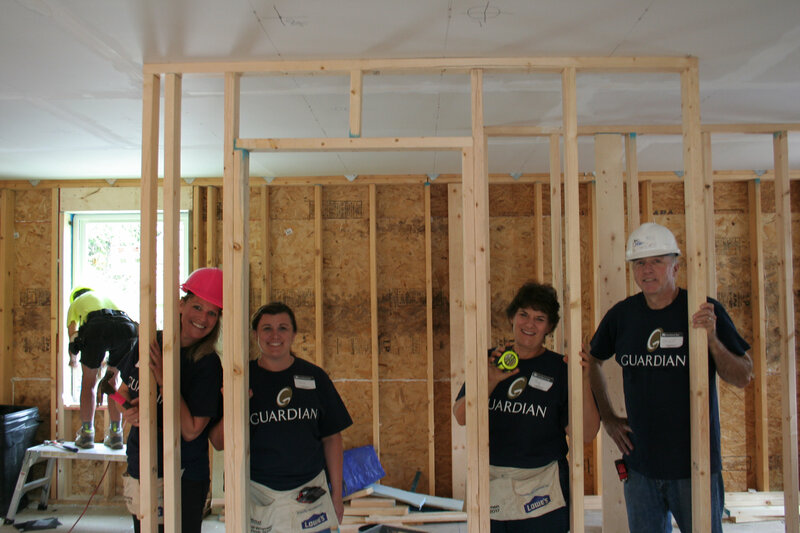 Volunteers working on our Dalton project in Courtney's future home!